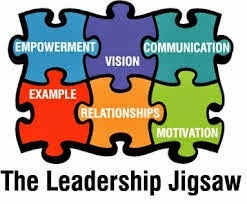 6 Leadership Styles and How to Use Them - Something New Everyday! Taking a team from ordinary to extraordinary means understanding and embracing the difference between management and leadership. According to writer and consultant Peter Drucker, "Management is doing things right; leadership is doing the right things." Manager and leader are two completely different roles, although we often use the terms interchangeably. Managers are facilitators of their team members' success. They ensure that their people have everything they need to be productive and successful; that they're well trained, happy and have minimal roadblocks in their path; that they're being groomed for the next level; that they are recognized for great performance and coached through their challenges. Conversely, a leader can be anyone on the team who has a particular talent, who is creatively thinking out of the box and has a great idea, who has experience in a certain aspect of the business or project that can prove useful to the manager and the team. A leader leads based on strengths, not titles. The best managers consistently allow different leaders to emerge and inspire their teammates (and themselves!) to the next level. When you're dealing with ongoing challenges and changes, and you're in uncharted territory with no means of knowing what comes next, no one can be expected to have all the answers or rule the team with an iron fist based solely on the title on their business card. It just doesn't work for day-to-day operations. Sometimes a project is a long series of obstacles and opportunities coming at you at high speed, and you need every ounce of your collective hearts and minds and skill sets to get through it. This is why the military style of top-down leadership is never effective in the fast-paced world of adventure racing or, for that matter, our daily lives (which is really one big, long adventure, hopefully!). I truly believe in Tom Peters's observation that the best leaders don't create followers; they create more leaders. When we share leadership, we're all a heck of a lot smarter, more nimble and more capable in the long run, especially when that long run is fraught with unknown and unforeseen challenges. Not only do the greatest teammates allow different leaders to consistently emerge based on their strengths, but also they realize that leadership can and should be situational, depending on the needs of the team. Sometimes a teammate needs a warm hug. Sometimes the team needs a visionary, a new style of coaching, someone to lead the way or even, on occasion, a kick in the bike shorts. For that reason, great leaders choose their leadership style like a golfer chooses his or her club, with a calculated analysis of the matter at hand, the end goal and the best tool for the job. My favourite study on the subject of kinetic leadership is Daniel Goleman's Leadership That Gets Results, a landmark 2000 Harvard Business Review study. Goleman and his team completed a three-year study with over 3,000 middle-level managers. Their goal was to uncover specific leadership behaviors and determine their effect on the corporate climate and each leadership style's effect on bottom-line profitability. The research discovered that a manager's leadership style was responsible for 30% of the company's bottom-line profitability! That's far too much to ignore. Imagine how much money and effort a company spends on new processes, efficiencies, and cost-cutting methods in an effort to add even one percent to bottom-line profitability, and compare that to simply inspiring managers to be more kinetic with their leadership styles. It's a no-brainer. 1. The pace-setting leader expects and models excellence and self-direction. If this style were summed up in one phrase, it would be "Do as I do, now." The pacesetting style works best when the team is already motivated and skilled, and the leader needs quick results. Used extensively, however, this style can overwhelm team members and squelch innovation. 2. The authoritative leader mobilizes the team toward a common vision and focuses on end goals, leaving the means up to each individual. If this style were summed up in one phrase, it would be "Come with me." The authoritative style works best when the team needs a new vision because circumstances have changed, or when explicit guidance is not required. Authoritative leaders inspire an entrepreneurial spirit and vibrant enthusiasm for the mission. It is not the best fit when the leader is working with a team of experts who know more than him or her. 3. The affiliative leader works to create emotional bonds that bring a feeling of bonding and belonging to the organization. If this style were summed up in one phrase, it would be "People come first." The affiliative style works best in times of stress, when teammates need to heal from a trauma, or when the team needs to rebuild trust. This style should not be used exclusively, because a sole reliance on praise and nurturing can foster mediocre performance and a lack of direction. 4. The coaching leader develops people for the future. If this style were summed up in one phrase, it would be "Try this." The coaching style works best when the leader wants to help teammates build lasting personal strengths that make them more successful overall. It is least effective when teammates are defiant and unwilling to change or learn, or if the leader lacks proficiency. 5. The coercive leader demands immediate compliance. If this style were summed up in one phrase, it would be "Do what I tell you." The coercive style is most effective in times of crisis, such as in a company turnaround or a takeover attempt, or during an actual emergency like a tornado or a fire. This style can also help control a problem teammate when everything else has failed. However, it should be avoided in almost every other case because it can alienate people and stifle flexibility and inventiveness. 6. The democratic leader builds consensus through participation. If this style were summed up in one phrase, it would be "What do you think?" The democratic style is most effective when the leader needs the team to buy into or have ownership of a decision, plan, or goal, or if he or she is uncertain and needs fresh ideas from qualified teammates. It is not the best choice in an emergency situation, when time is of the essence for another reason or when teammates are not informed enough to offer sufficient guidance to the leader. Bottom line? If you take two cups of authoritative leadership, one cup of democratic, coaching, and affiliative leadership, and a dash of pacesetting and coercive leadership "to taste," and you lead based on need in a way that elevates and inspires your team, you've got an excellent recipe for long-term leadership success with every team in your life.